Chances are good there’s a phishing scam lurking amid your emails right now. If there isn’t, then perhaps there will be tomorrow, or the next day. The question is, will you fall for it? People are curious and they want to help, he continues, and it’s these two qualities that make them susceptible to phishing attacks. When they do fall for scams, most employees are quick to realize it. “I’m really busy,” “I missed that,” “I should’ve caught that email,” are all commonly heard phrases from victims who have opened malicious emails and realized they did wrong. “No matter how much technology you put in place to block them, stuff always gets through,” Hayslip adds. Webroot recently scanned thousands of phishing emails from the past 18 months to learn more about the trends around common subject lines designed to trick targets. Hayslip presented the findings to about 100 fellow CISOs around the country and learned “almost everybody’s seeing the same thing,” he says. Financially related messages and notions of urgency are commonly seen in phishing emails, albeit under different subject lines. John “Lex” Robinson, cybersecurity strategist at Cofense (formerly PhishMe) echoes Hayslip’s sentiments and says attackers are getting better and better at understanding the context of the emails they’re sending and who they’re targeting. “If you think about the way we communicate today versus 15, 20, or 30 years ago, it’s a lot less formal,” he says. 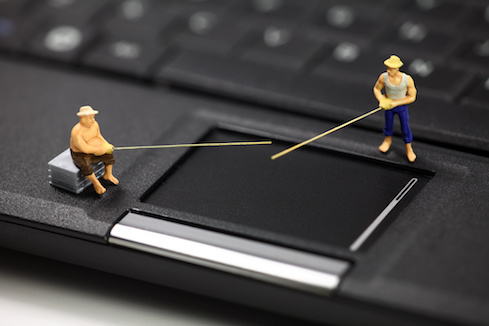 Phishing doesn’t need to be formal; it needs to align with business jargon.